The Australian Government pays for the majority of aged care costs in Australia but you will be asked to contribute to the cost of your care if you can afford to. This may require a one-off payment or deposit, as well as ongoing fees for your care, accommodation and daily living expenses. How much you pay depends on your financial situation. A basic daily care fee: this covers living costs such as meals, power and laundry. For some people this is the only fee they are required to pay. An accommodation payment: this is for your accommodation in the aged care home. Some people will have their accommodation costs met in full or in part by the Australian Government, while others will need to pay the accommodation price agreed with the aged care home. Centrelink will advise you which applies to you based on an assessment of your income and assets. A means-tested care fee: this is a contribution towards the cost of care that some people may be required to pay. Centrelink will work out if you are required to pay this fee based on an assessment of your income and assets, and will advise you of the amount. There are annual and lifetime caps in place to limit the amount of the means-tested care fee you will need to pay. Residents can choose to pay for their accommodation by a refundable accommodation deposit, a daily accommodation payment, or a combination of both. A refundable accommodation deposit is paid as a lump sum amount. The daily accommodation payment accrues daily and is paid periodically for example monthly. A combination payment includes both a partial lump sum and daily accommodation payments. 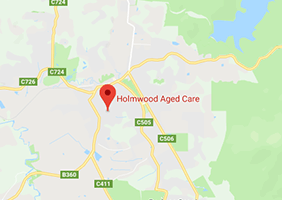 A refundable accommodation deposit is a lump sum payment by a resident for entry into an aged care home and is like an interest free loan to Holmwood Aged Care. RAD amounts are published on www.myagedcare.gov.au or www.holmwood.com.au. RAD amounts vary and are dependent of factors such as room type, features and availability. The amount you are asked to pay in the form of a RAD may also be restricted by the level of your assets. A resident has up to six months from the date of entry to pay the RAD. Interest will be calculated on unpaid RAD’s at the current government legislated interest rate from the admission date. The RAD is fully refunded when a resident leaves the home (less any amounts you have agreed to have deducted). A RAD will be refunded within 14 days from the date of discharge or on the date of discharge if sufficient notice has been provided. If a resident is deceased, the RAD will be refunded within 14 days of receipt of a certified copy of probate. A daily accommodation payment is similar to a rental-type payment system. The resident can choose to pay as a daily payment instead of, or in combination with a RAD. You may also be required to pay a DAP if the amount of RAD that you are able to pay is limited by your assets. The DAP is calculated by multiplying the RAD (or the unpaid portion of the RAD) by the interest rate set by the government (currently 5.96% per annum) / 365 days (/100). Or a combination payment at 50% of the price by the RAD at $150,000 and 50% of the price by the DAP at $24.49 per day. This Maximum Permissible Interest Rate (MPIR) is effective from 1st April 2019 to 30th June 2019 and is reviewed quarterly by the government. However, the rate that will apply to you will be fixed from your date of entry to the home. These payments are not refundable when you leave the home. If you are assessed as being a partially supported resident by the government, you may be required to pay a smaller accommodation payment either as a lump sum or daily fee. These payments are determined by the government and referred to as Refundable Accommodation Contribution (RAC) or Daily Accommodation Contribution (DAC). All fees and charges (other than a RAD) are payable by each resident monthly in advance. Payment is preferred via direct debit and the resident is requested to complete a direct debit form upon entering the home.  For further information regarding fees, charges, collection of information, please don’t hesitate to contact one of our Holmwood Aged Care staff on 03 5962 4321.
website www.myagedcare.gov.au or call 1800 200 422.